Join your friends from Niles Discovery Church at the Monday, December 19, showcase concert presented by the SF Jazz Center Monday Night Band (a group that includes our own Ben Gunnarson). The venue is the Miner Auditorium, 201 Franklin Street in San Francisco. Show time is 7:30 pm. There is no cost for tickets, but they must be ordered in advance. Now into its 12th season, the SFJAZZ Monday Night Band has become one of the most in-demand community groups in the Bay Area, attracting a range of talented musicians – from retired pros to emerging young artists. 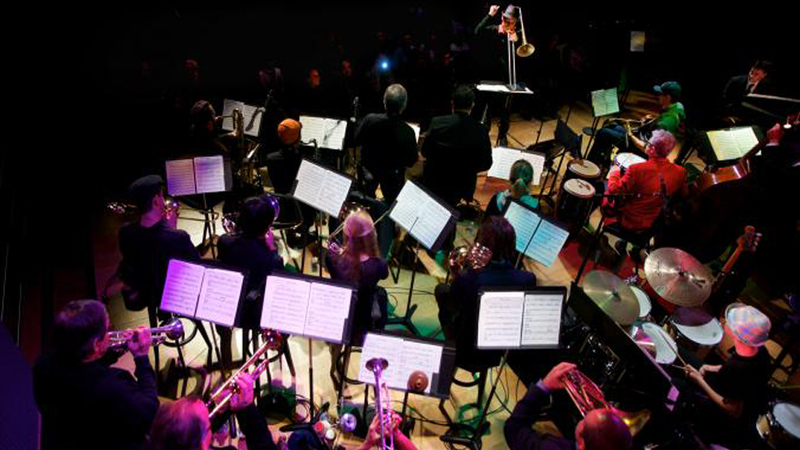 Directed by acclaimed Bay Area musician and bandleader Adam Theis, the Monday Night Band is open to intermediate and advanced level instrumentalists and vocalists. To reserve your space, contact Amy Gunnarson at amygunnarsonRN@gmail.com or 301-693-6397 before November 30. She will order tickets. You are also invited for “pre-performance snacks and conversation” at Tom and Amy Gunnarson’s home from 5:00 to 6:00 p.m. We will carpool from there to the event.